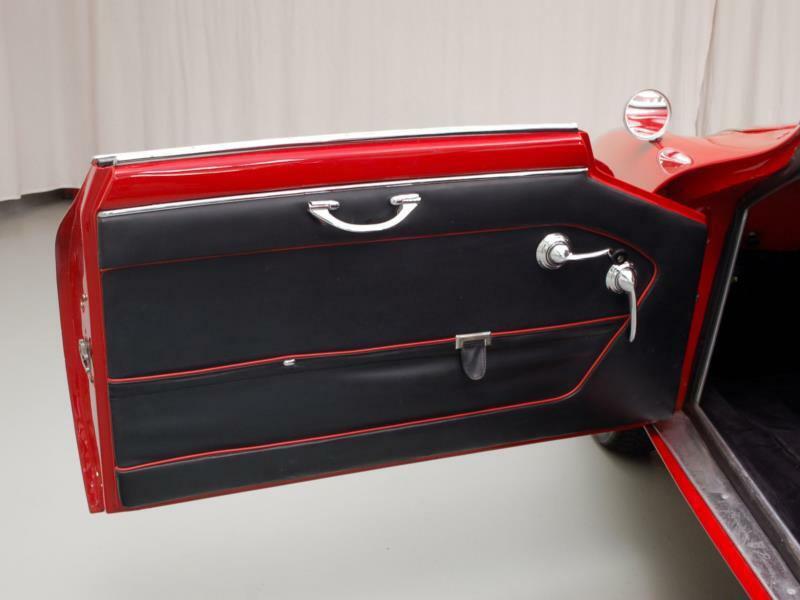 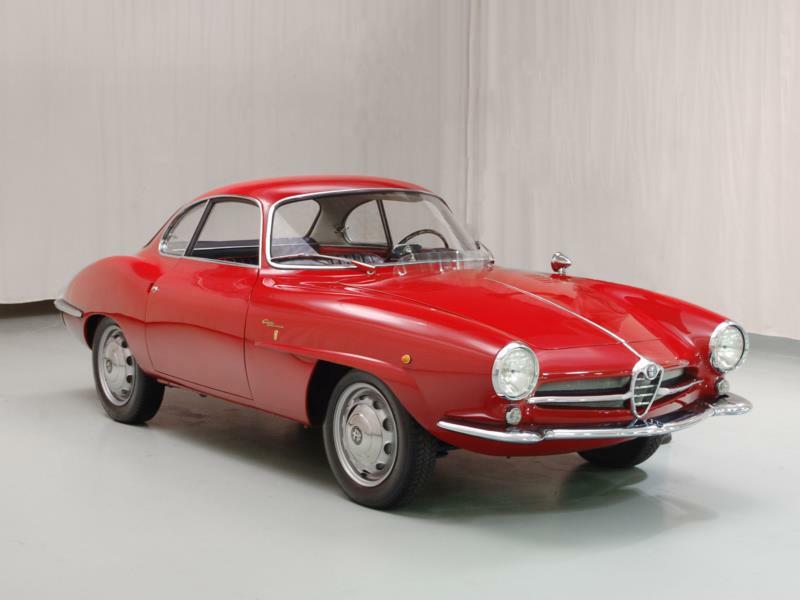 When Alfa Romeo introduced the 1900 range in 1951, it was the company’s first monocoque design, and would be built in large enough numbers to put the company in the black. 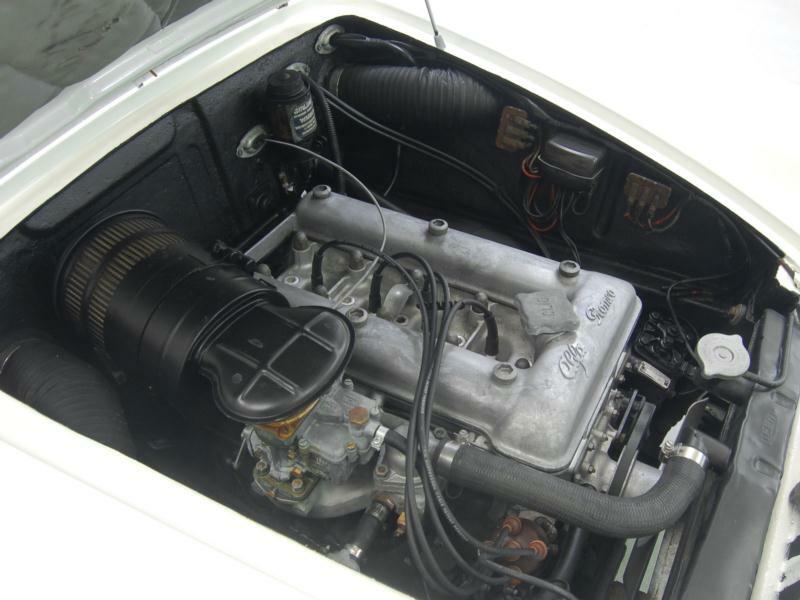 The 1900-cc inline-four engine produced as much power as the supercharged 1750-cc racing motors of the 1930s, and it was this impressive powerplant that was downsized in 1954 for use in the immortal Alfa Romeo Giulietta. 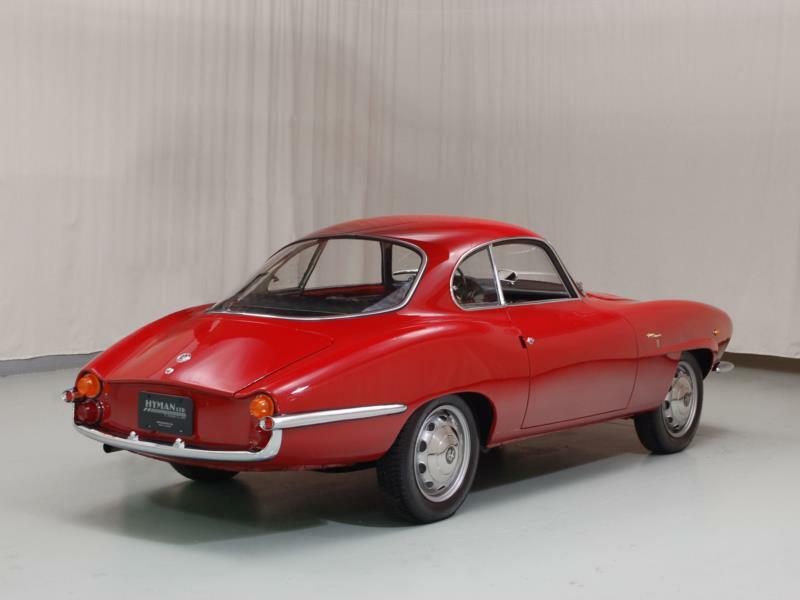 Bertone’s handsome little Giulietta 2+2 Sprint coupe weighed a fifth less than the 1900, but the 1,290-cc engine generated 80 bhp, only 10 less than the 1900. 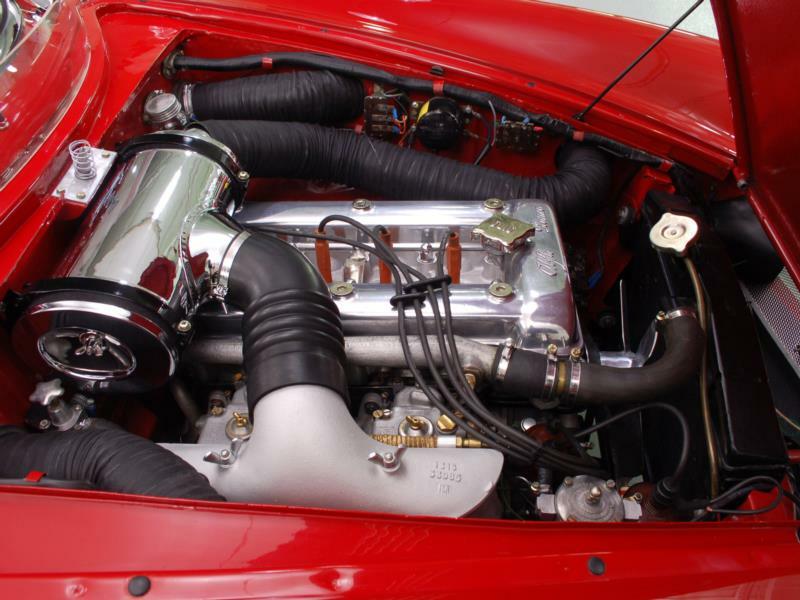 Thanks to a higher compression ratio of 8.5:1, the coupe could just top the magic 100 mph. 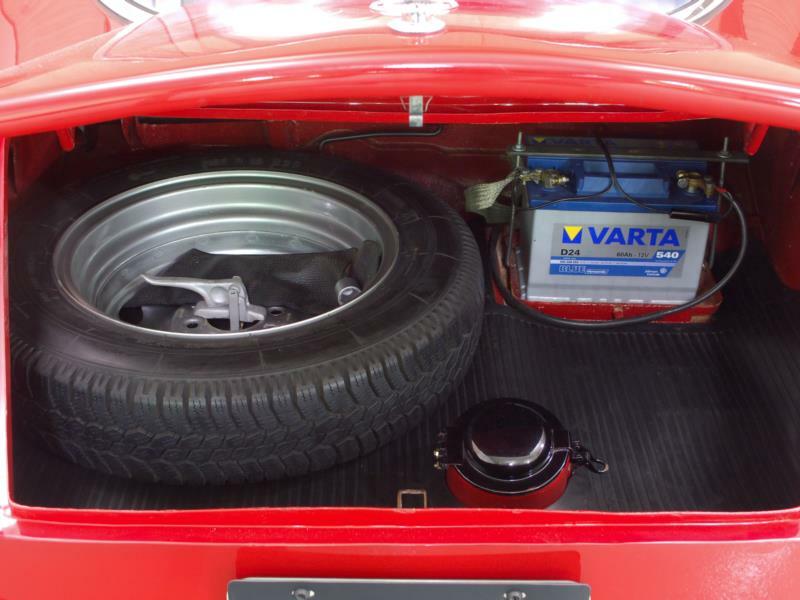 It was accompanied by a tidy little four-door Berlina sedan. 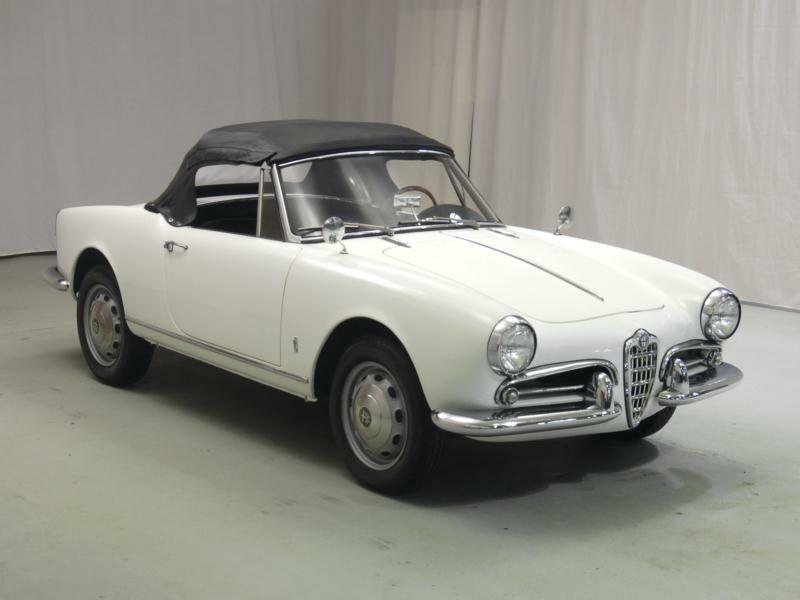 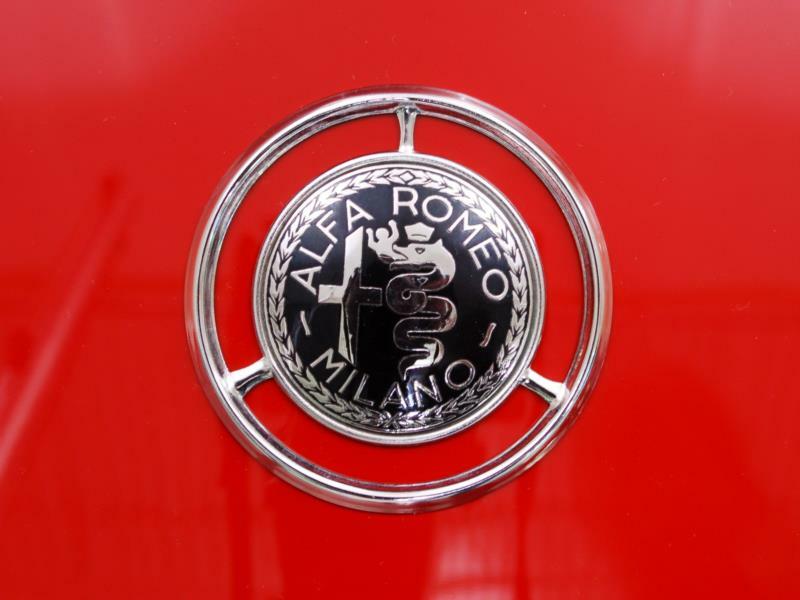 Pininfarina designed the first Alfa Romeo Giulietta Spider in 1955 and it would be made, more or less in that form, until the arrival of the Duetto in 1966. 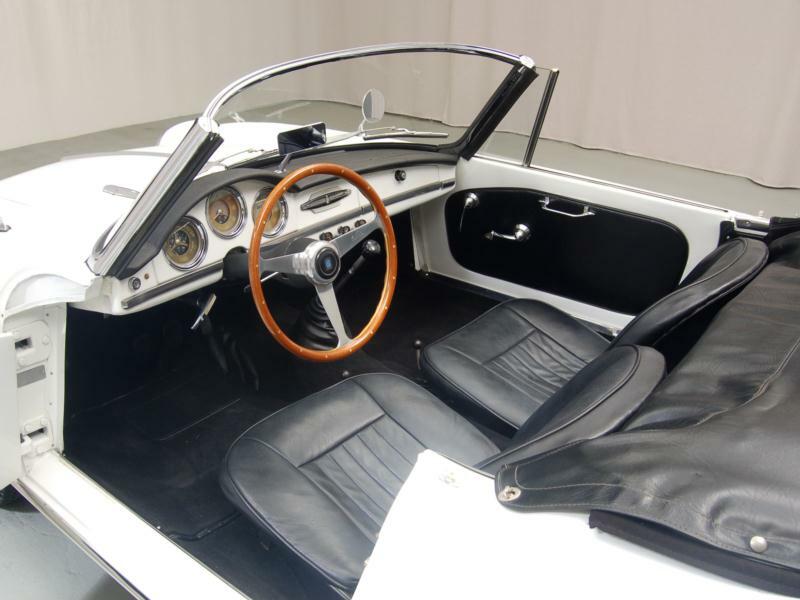 Pinifarina cut five and a half inches out of the Bertone coupe and cross-braced the body for rigidity. 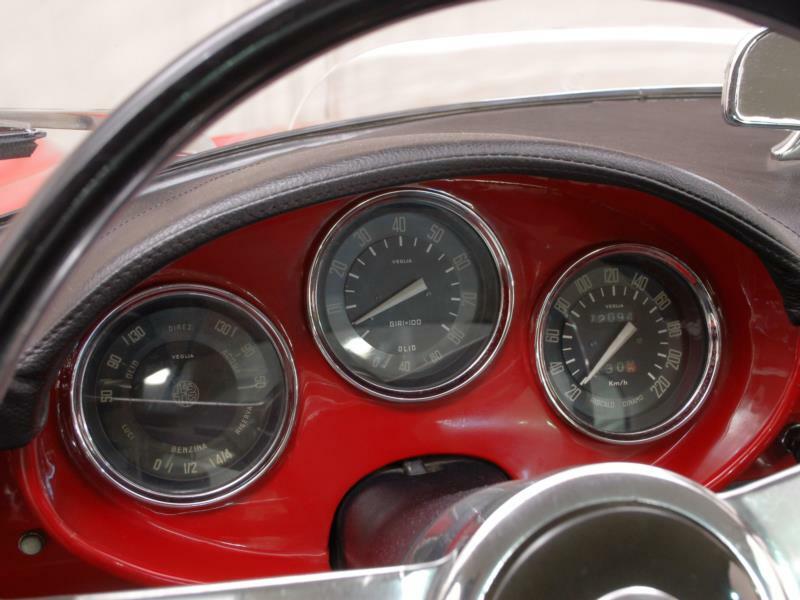 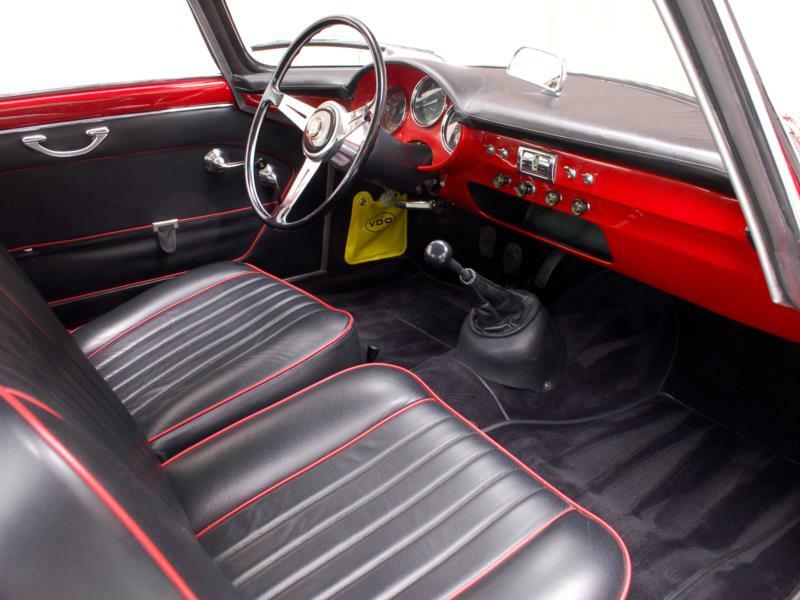 The coupe’s column-shift gear change was moved to the floor and the sleek little roadster boasted a top speed of 103 mph. 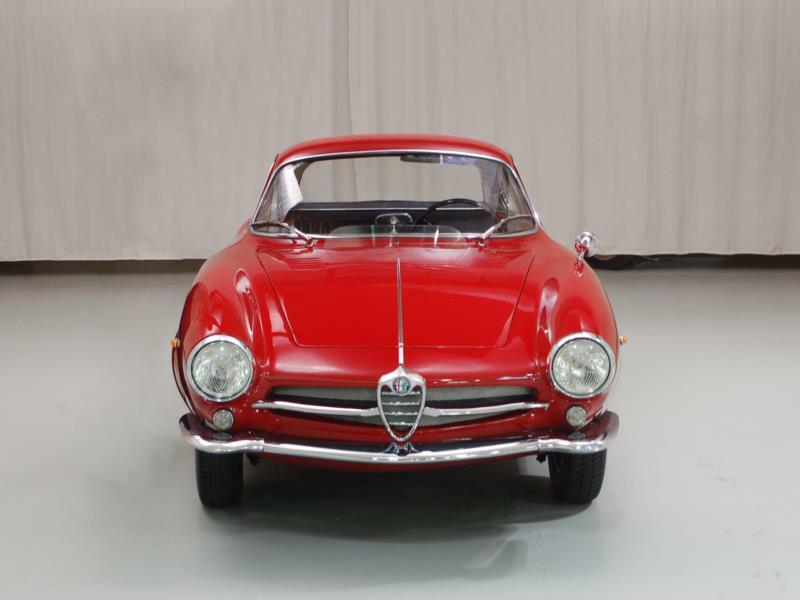 The Giulietta Sprint Veloce was announced in 1956, with 90 bhp and a top speed of 109 mph. 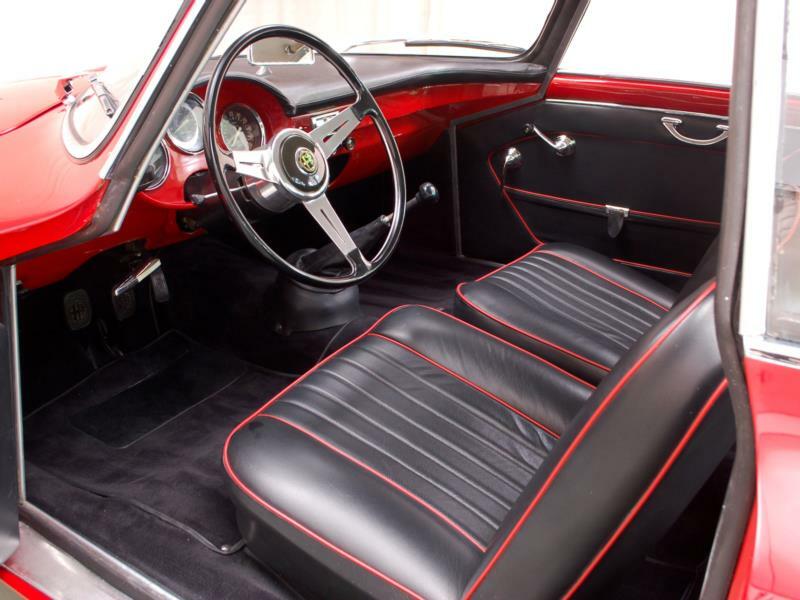 A Spider Veloce was also manufactured. 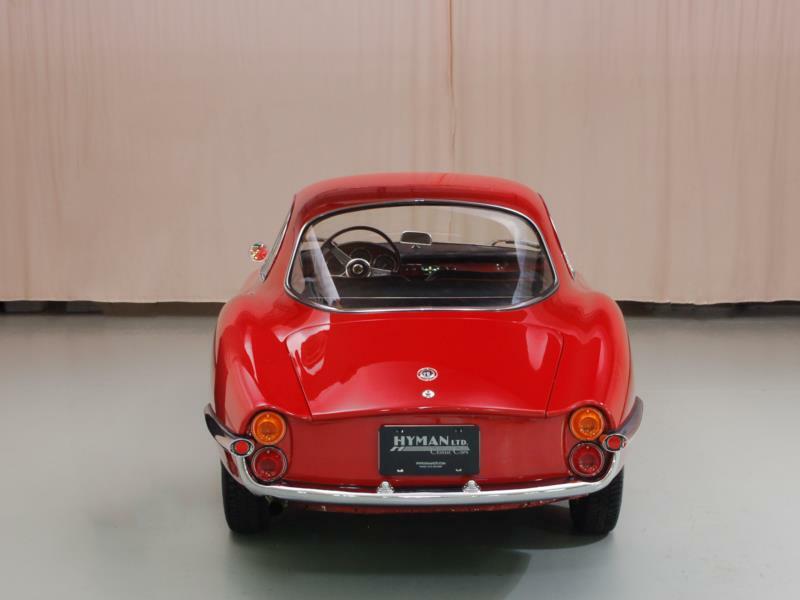 The Bertone-designed Sprint Speciale coupe appeared in 1957. 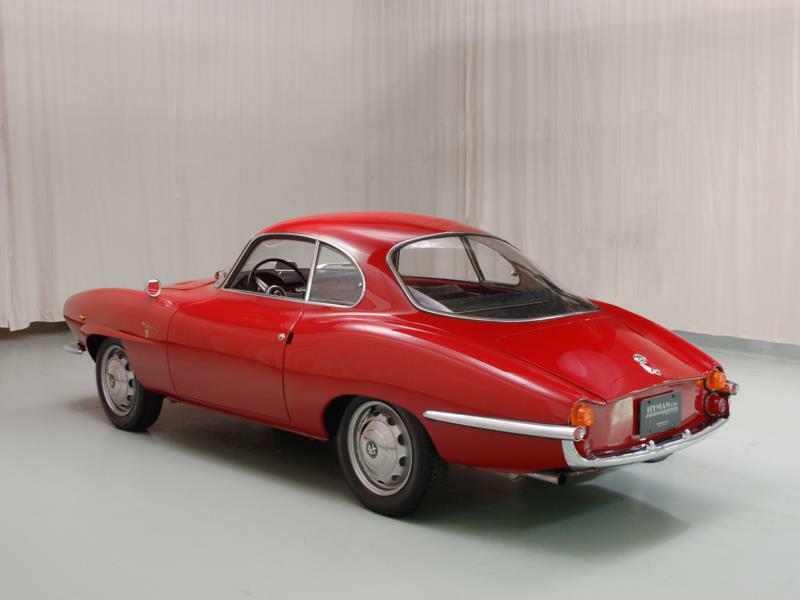 A stunningly beautiful interpretation of the Sprint coupe with a 5-speed gearbox and a 125 mph top speed, and 1,576 Sprint Speciales and Sprint Zagatos would be built by 1963. 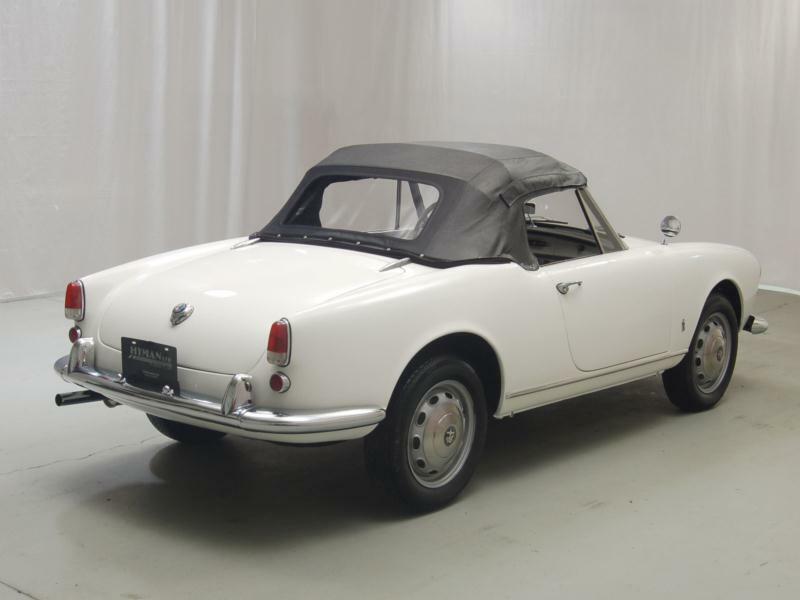 In 1959 the 101 Series replaced the previous 750 Series. 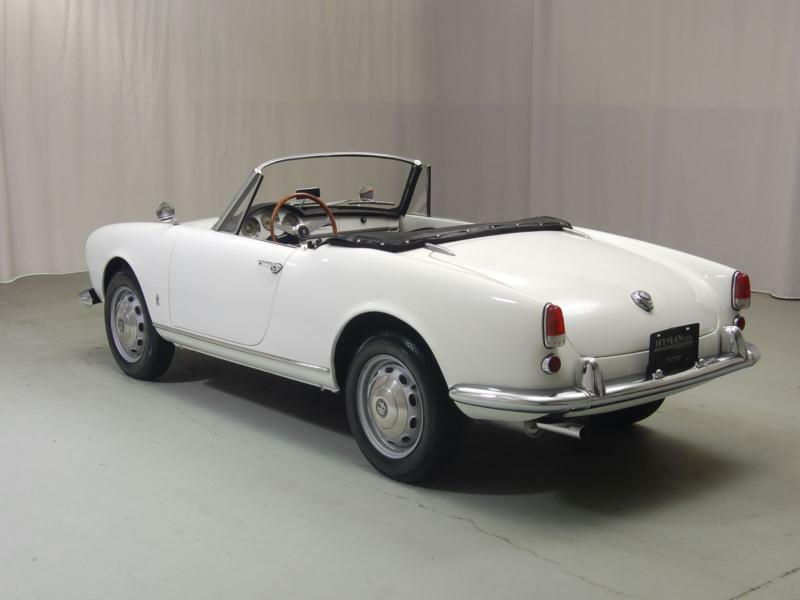 The Giulietta 101 roadster’s wheelbase grew two inches in at this point, and the whole line received a minor front and interior refresh. 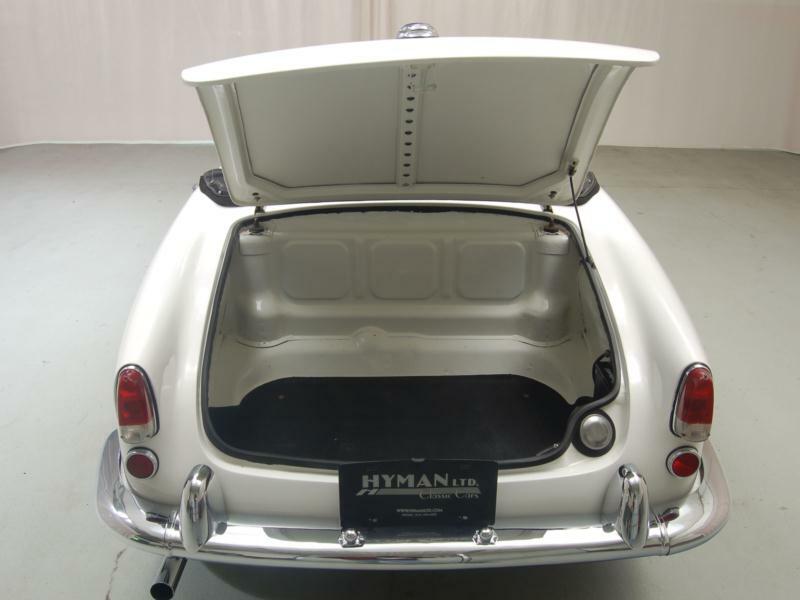 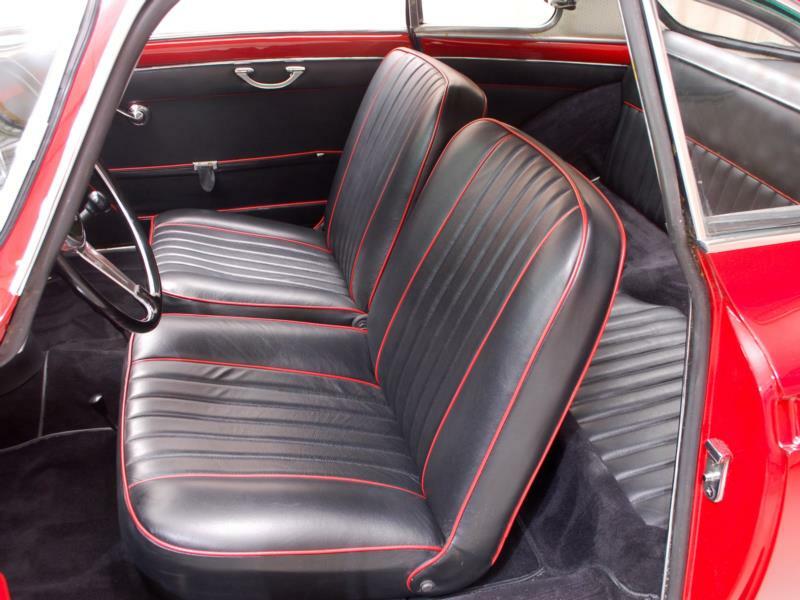 The Giulietta gained vent windows and windup side windows in 1960, the same year that a detachable hard top became available. 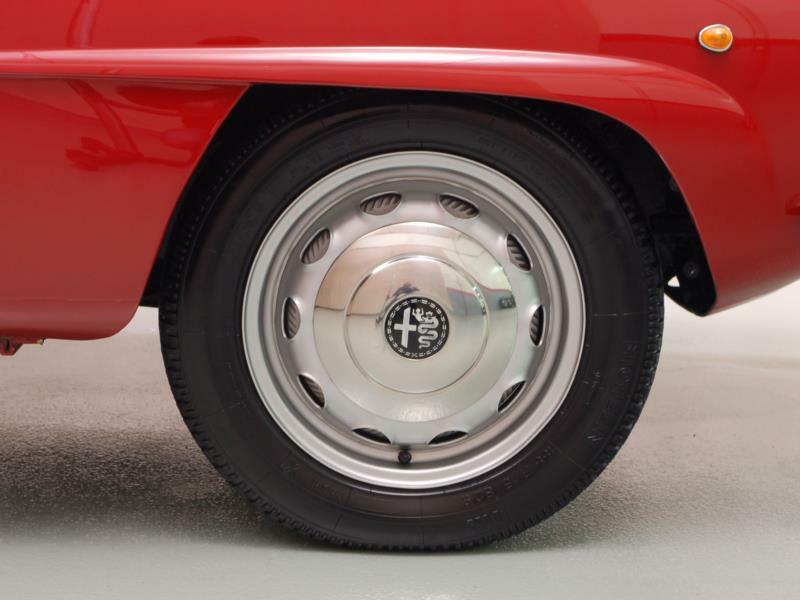 The Sprint Speciale gained front disc brakes in 1963. 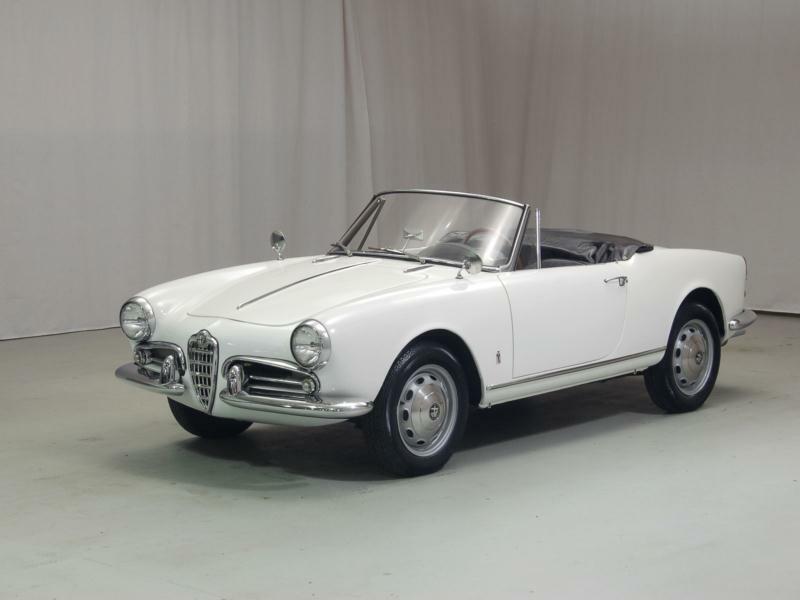 By 1964, the Giulietta had essentially evolved into the 1,570-cc Giulia. 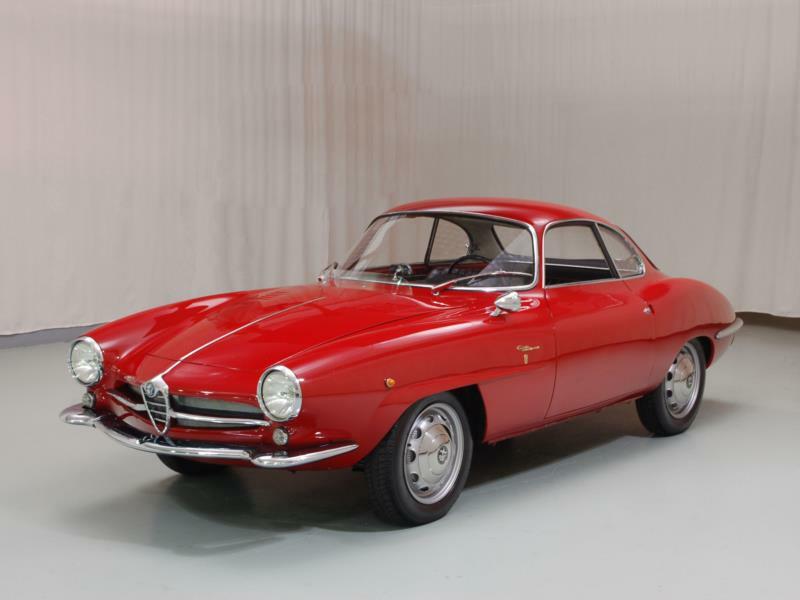 The line was enormously successful for Alfa Romeo and by the time the last Giulia was built in 1979, more than 400,000 Giulietta and Giulas had been sold. 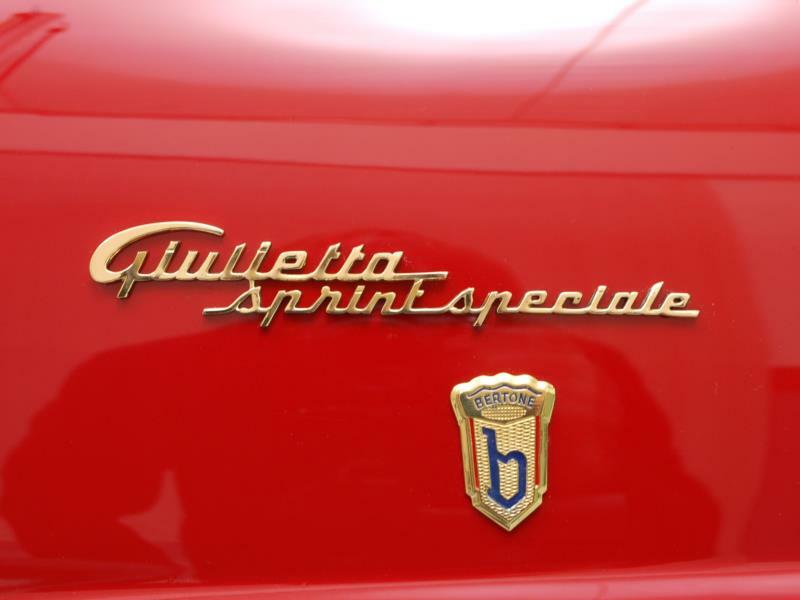 Prices for excellent Giulietta Spiders and Sprints have matured past entry-level status, though Berlina sedans are still relatively affordable. 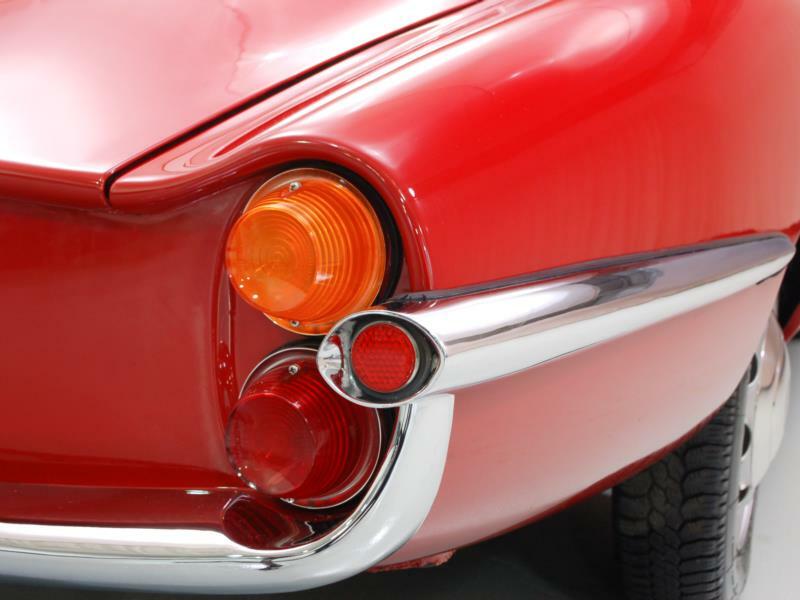 Cars with needs, regardless of body type, remain an expensive and often unrewarding proposition. 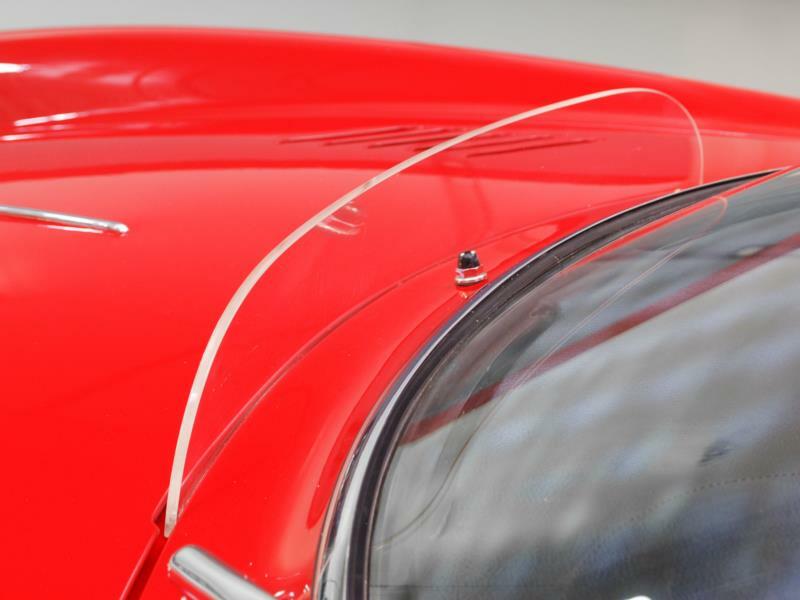 Electrics are fragile, rust is an ever-present problem and parts are both expensive and can be hard to find. 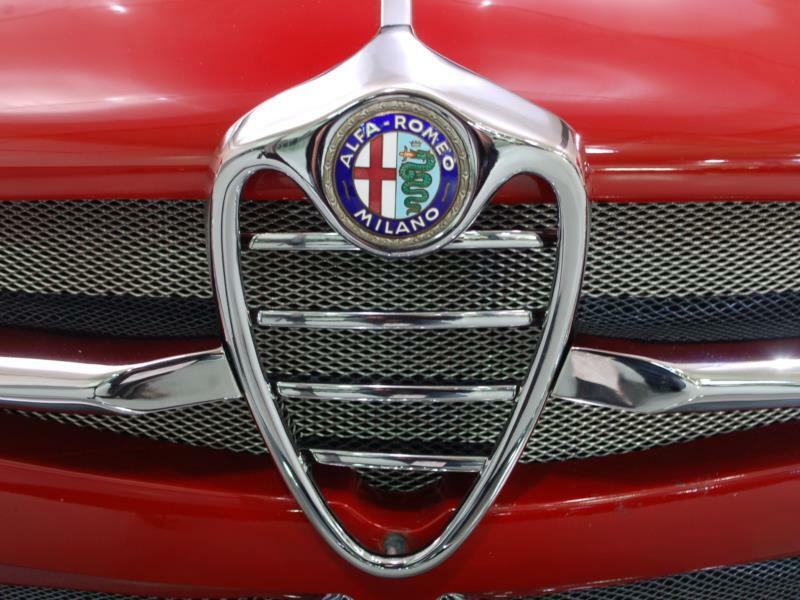 That said, a sweet-running Giulietta is a joy to drive, and draws admiring glances everywhere, which makes finding one that can stay on the road all the more rewarding.